SRA Home Products is a leading installer of outdoor rooms, including sunrooms and screen rooms, at homes throughout Blue Bell, Pennsylvania. If you and your family could use some extra living space, and you would like to begin taking full advantage of the beauty of your backyard, you should consider having one of these rooms installed on your property. 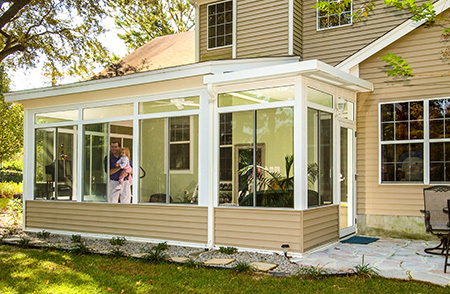 State-of-the-art windows — Our sunrooms are constructed using TEMO’s HPG 2000 glass. This innovative material offers an SPF of 59, but can be upgraded to having an SPF of 85. 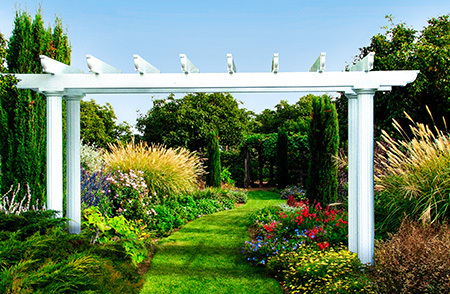 Style options — When you hire us to install one of these outdoor rooms at your Blue Bell, PA, home, you’ll get to select among various sunroom styles, including California, Cathedral, Conservatory, Santa Fe, Solarium, Studio, the Nino Vitale Signature Collection, and a custom design. You’ll also get to choose between the prime window system and the window wall system. Notably, the window wall system stands apart from comparable products because its operable head-to-toe windows allow you to place patio doors wherever is most convenient for you. 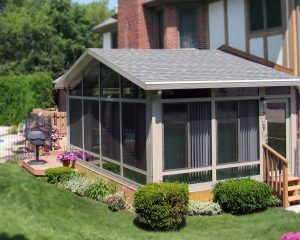 Thermal roofs — Like our sunrooms, our screen rooms feature solid thermal roofs that deflect the heat from the sun. Vinyl sashes — These screened outdoor rooms feature removeable vinyl sashes that block up to 99 percent of the sun’s UV rays. They also help to protect you from wind and rain. Upgradability— TEMO’s outdoor rooms are unique, in that they allow you to easily convert a screen room to a sunroom by simply replacing the vinyl sashes with TEMO’s HPG 2000 glass. If you’re interested in having one of these outdoor rooms installed at your Blue Bell, PA, home, please contact SRA Home Products today so that we can assist you with the design and installation process.